With Paul Pogba putting his stamp on games and Jose Mourinho in an upbeat mood, the atmosphere around Manchester United is markedly more relaxed than it was just a few weeks ago. 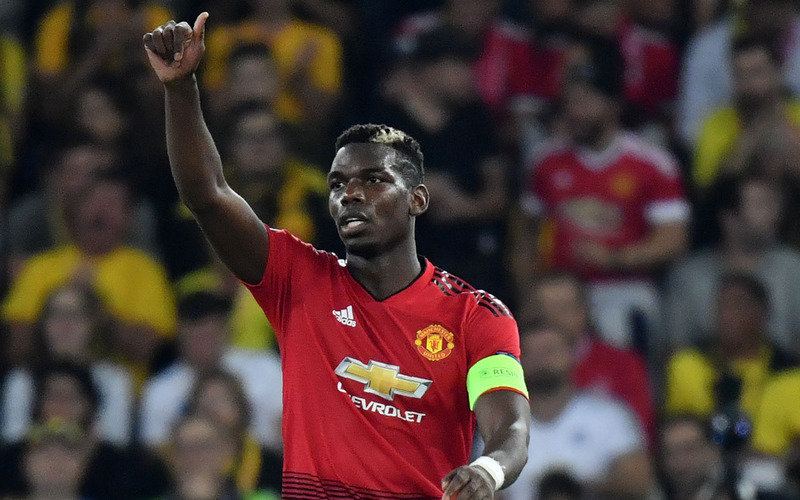 United’s 3-0 win over Young Boys in the Champions League in Bern on Wednesday was not completely straightforward, with the visitors on the back foot before Pogba emerged to score twice in the final 10 minutes of the first half. But Mourinho’s side ended up thoroughly deserving their victory against a team that had won nine out of 10 games this season and were determined to impress on their Champions League group-stage debut. Pogba’s decisive contribution while wearing the captain’s armband also stretched to an assist for Anthony Martial’s third goal in the second half, and his performance came after he stood out on his 100th appearance for the club in last Saturday’s 2-1 victory at Watford. “If someone asks me to do that again, I don’t think it’ll go where it did,” admitted Pogba of his terrific opening goal at the Stade de Suisse, which he followed by scoring a penalty before half-time. 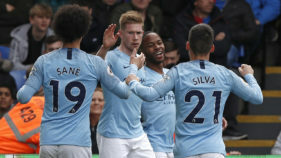 “I’m very, very happy to have scored two goals and to have helped decide the game,” said the France star, who has four goals in total this season, three from the spot. The 25-year-old has not always enjoyed a harmonious relationship with Mourinho, being routinely dropped last season. In recent weeks, doubts have been raised about what his agent Mino Raiola might have in mind for Pogba’s future. Yet in Bern, Pogba delivered for his manager. “I don’t think he can score goals every match, but the goal he scored today, the first goal, is not different than the fantastic save (Ben) Foster had in the last match,” Mourinho said of a player who also netted for France in the World Cup final. It is now three straight wins in three away games for United, after Premier League successes at Burnley and Watford. After speculation that he could be sacked in the wake of the 3-0 home loss to Tottenham Hotspur last month, the Portuguese’s mood has changed for the better. He expressed delight at teenager Diogo Dalot’s debut performance at right-back, was full of praise for Luke Shaw, and left the Stade de Suisse press room joking with reporters. 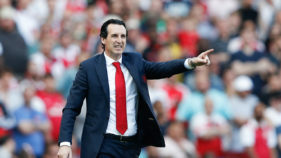 “At half-time I told the players it is the third time in a row we arrive at half-time winning 2-0 — against Burnley we didn’t finish off but we didn’t concede, against Watford we concede and we were in trouble,” he said. Martial rounded out the win by marking his first start in a month by netting his first goal since January. The manager added: “I think our best period was exactly the period in the second half where we scored our third goal and we killed the game. “In the second half the players were responsible, they were ambitious, so I liked that. Wolverhampton Wanderers are up next, while United are also at home in their next Champions League game against Valencia. 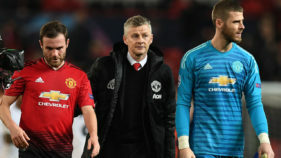 A win against the Spaniards will be a big step towards the last 16 before a double-header against Juventus, as United seek to improve in Europe following last season’s exit to Sevilla in the first knockout round. “We had a tough season in the Champions League last season — we want to do much better this season,” Pogba insisted.